Prism Casino is a popular name across the online gambling industry. They came online in 2002 and are powered by Realtime Gaming software. The casino is licensed in the jurisdiction of Costa Rica and welcomes US players with open arms. They are owned by the Virtual Casino Group of Casinos and in the past they had a questionable reputation. 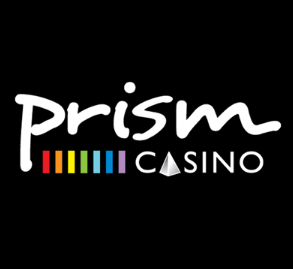 But in recent years we noticed an increase of quality in their operations and today Prism Casino is considered to be a reputable operator. The casino website can be accessed in Instant Play, Download and Mobile mode, while the only available language is English. Players can only create an account using USD as a currency. The casino offers players live chat support 24/7 and you can also contact them by email at: support@prismcasino.com. They also have a toll free phone line available which can be reached by dialing 800-550-1491. All players at Prism Casino can make deposits by using Neteller, eChecks and Credit or Debit Cards. For making withdrawals at the casino you can use Wire Transfer, Neteller and Cheque. The maximum you can withdraw from the casino in 7 days is limited to $2,000. All withdrawals at the casino have a pending period of 10-15 days, after which they are processed to your preferred payment method. When it comes to bonus promotions Prism Casino has a very rich offer. All new players can claim a hefty $30 no deposit sign up bonus just for creating an account at the casino. In order to redeem the bonus you will need to enter the bonus code PRISM30 in the casino cashier. The funds will instantly appear on your account and you can continue to play your favorite casino games. After you use the no deposit sign up bonus you can go ahead and make your first deposit at the casino. Here you can claim a massive 350% match deposit bonus up to $3,500. This is a great bonus offer and is sure to catch the attention of all players who want to bet big in order to win big. The minimum deposit to claim this bonus is only $30 and you will need to enter the bonus code FD350 when making your deposit at the casino. As you can see Prism Casino has a lot to offer, especially if you’re a US player and are a fan of the RTG games.